Available in Steelness Steel 304/316/316L-A2/A4 All type of test certificate available i.e.Material product and as required . 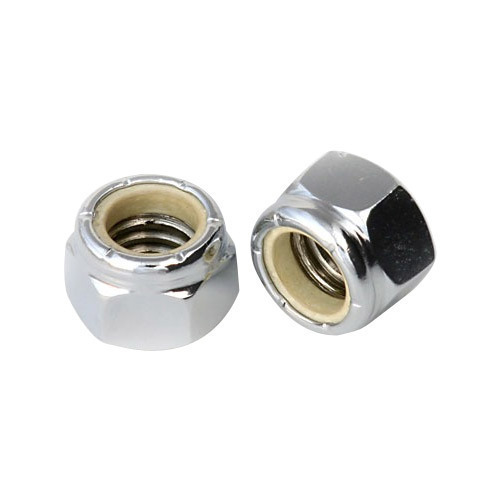 We are the leading manufacturer and exporter of Hex Nylon Insert Lock Nuts. All type of test certificate available i.e.Material product and as required . CANCO FASTENERS , is a Indian manufacturer of high quality fixings and fasteners since last 50 years. We have a variety of Nuts, Bolts, Washers, Screws, Thread bars, Clamps, Rivets, Steel Wire, Rope ,Screw Nails Raw Material of M.S. S.S 316, 304 grades and Brass. Our Products are well appreciated by Architects, Engineers and Cunsultants confirming the product Reliability and Durability. Canco fixings uses helps Saving money, Man Power & time. Canco Fasteners Processes all its Raw Material supported with test reports. All production is done on ISO standards covered by Engineers qualified vendors and suppliers. Canco Fasteners is committed in delivery & quality. Canco Fasteners is well accredited World Wide.